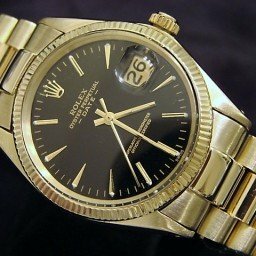 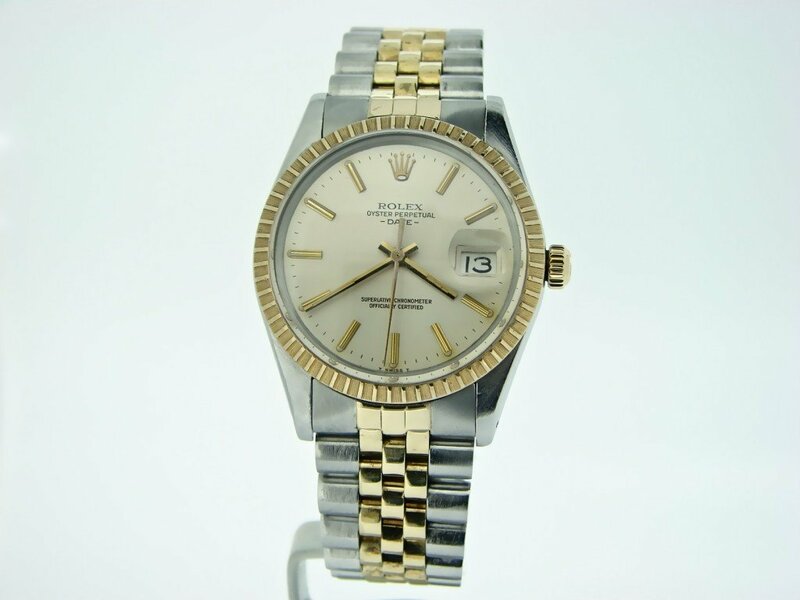 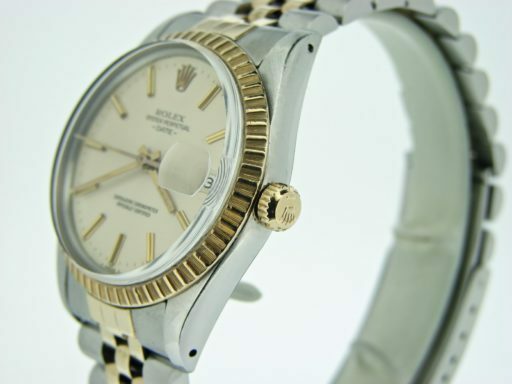 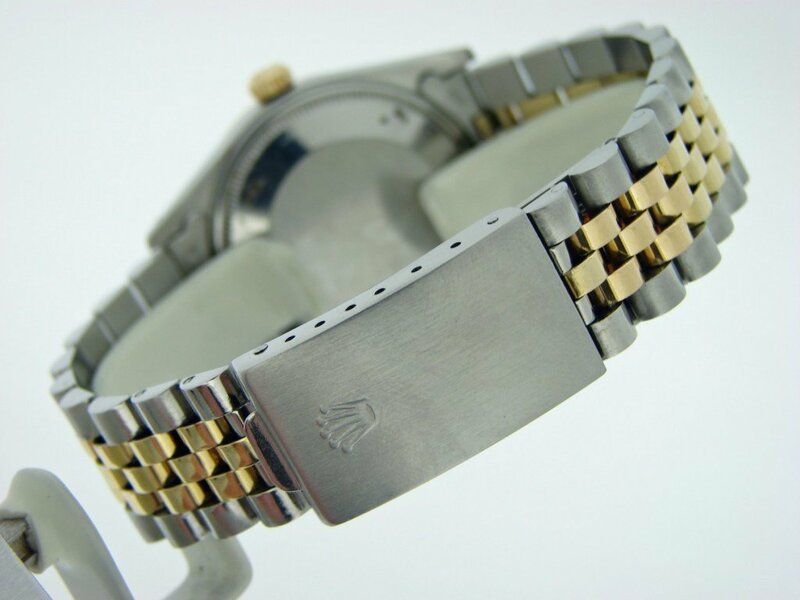 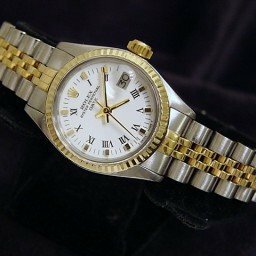 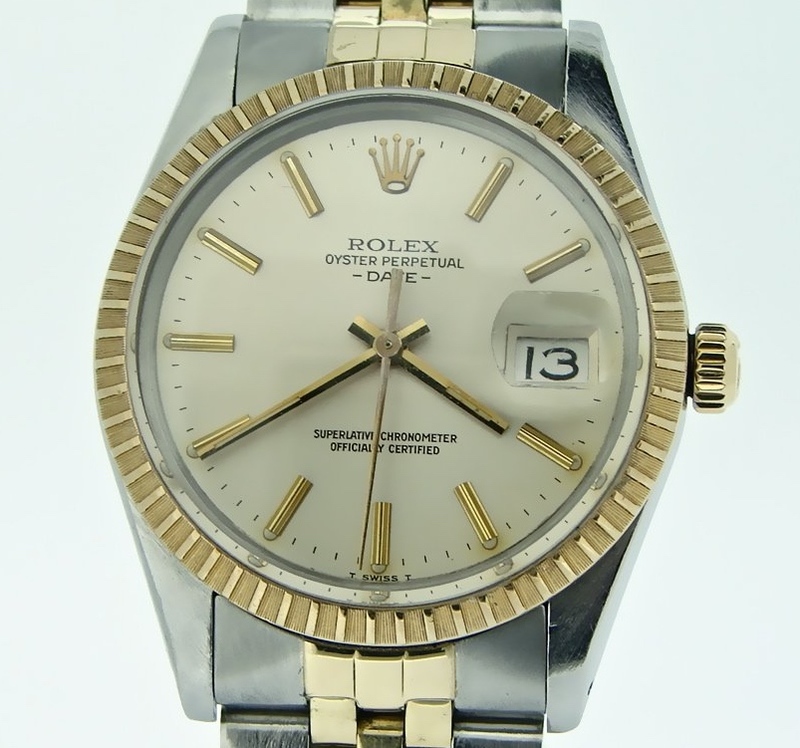 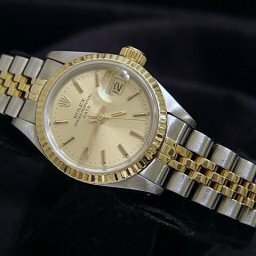 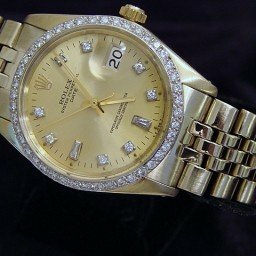 BeckerTime is proud to offer this very handsome Mens 34mm 100& GENUINE FACTORY ORIGINAL ROLEX Date 2tone 14k Yellow Gold/Stainless Steel Watch w/Silver Dial Ref# 15053 that is guaranteed to impress. 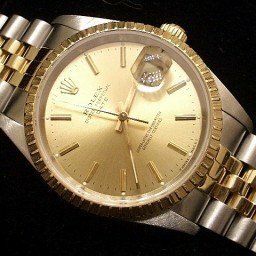 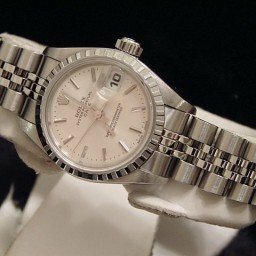 Dial Rolex silver oyster dial with raised stick markers is in pristine condition; Nice golden hue to the silver dial…VERY NICE! 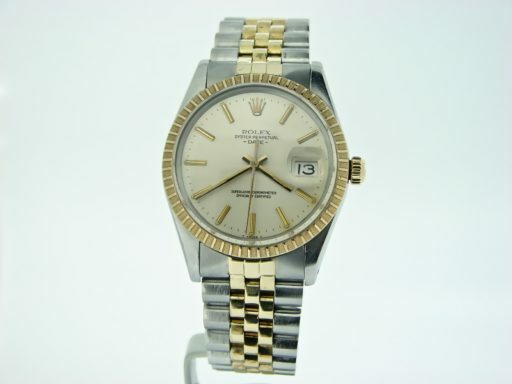 Band Rolex 14k yellow gold and stainless steel jubilee bracelet with Rolex-signed clasp is in super excellent condition.